Black Friday of 2017 arrives and with it, discounts of infarction arrive in the applications and games of the iOS App Store. 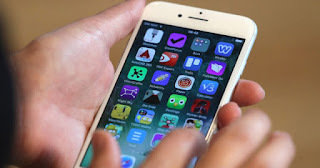 In this selection you will find the best free apps of the moment for iPhone, iPad and iPod touch. But remember, these offers will be available for a limited time in the Apple App Store . So if you like any of these applications or these games, download and install on your iPhone and iPad as soon as possible. Without further ado, we start with the best free Black Friday apps for iPhone, iPad and iPod from the iOS App Store. Sky to Fly is a fantastic game of fighter planes with amazing graphics. More than 20 missions to participate in, lots of enemies and 4 different planes to choose from. Delve into an epic battle within the universe of "Tower Defense" type games . Defend your territory and hallucinate with its graphics. Tweety Pro is a client for Twitter as a widget that allows you to see your mentions and your timeline from the blocking screen or within any other third-party application. The classic Sonic game is perfectly adapted to mobile platforms, and is currently available for free for a limited time . I was there is a simple application that offers iPhone and iPad users the possibility to mark all the areas they have visited . An ideal app for travel lovers. Glow Asteroids Shooter is a game in which you control a spaceship and you will have to destroy all those asteroids that approach you. A great application to listen to music in the cloud , you can create your own lists of tasks, use an equalizer and much more. Reklamfri is an application to block ads from Safari. Typic is an application with which you can add all kinds of texts in your images . There are thousands of fonts and designs available. To finish our selection of free apps for iPhone and iPad we recommend you download iColorama, a photo editing app with very professional tools.